Accredited – We Are Home Care has a nurse on call 24 hrs a day 365 days a year for that extra personal service our clients deserve. We accept all major insurance including Blue Cross & Blue Shield, Workers Compen- sation, Medicare & Medicare Advantage. Accredited Caring Hearts (ACH) strives to assist our clients to Live, Laugh and Love in the safety of their own homes. 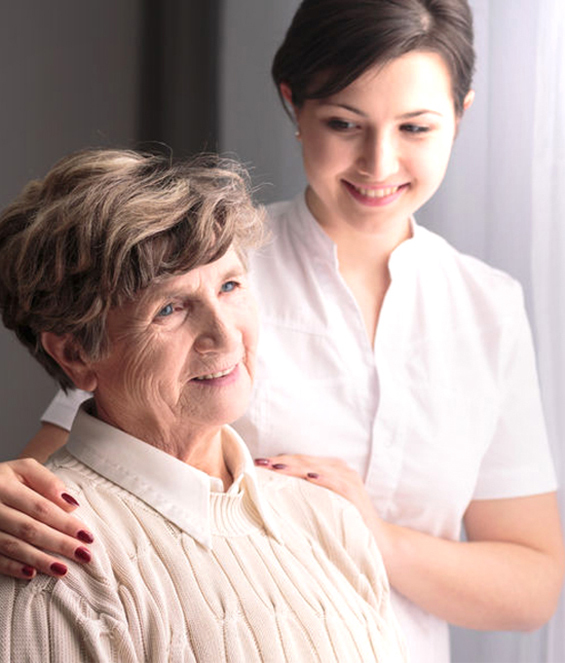 Our Personal Assistants are there to assist with anything from light housekeeping, shopping, doctor visits and taking notes to extensive in-home care needs. Accredited Physical Therapy covers catastrophic and non-catastrophic care resulting from auto related injuries, on-the-job injuries and permanent disabilities. Insurance certifications for Auto Claims, Workers Compensation and Commercial Medical Care. What will the Quality of Care be like? 92% of our patients give us top ratings for our professional medical care. 8 out of 10 patients recommend us to their friends and family. Will there be Continuity of Care by using the same people for my loved one? Absolutely YES! 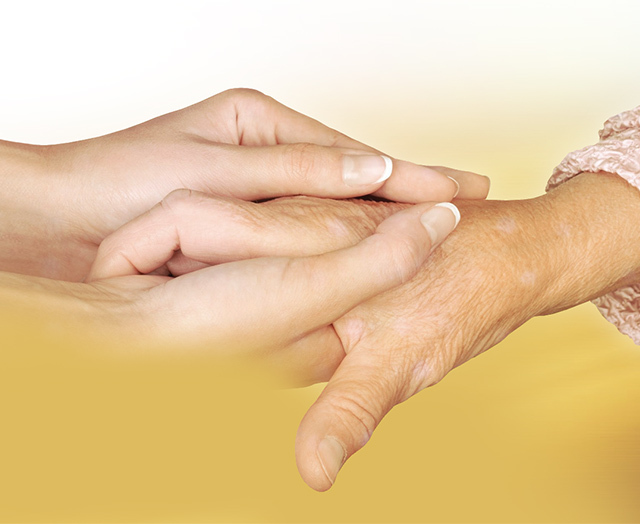 When we take a patient the staff members assigned stay with your loved one during the entire length of care. How do I know I can trust the people we allow in our home to take care of our family? Our staff members are interviewed, background checked and referred with the highest credentials. What kinds of outcomes do you get with your patients? 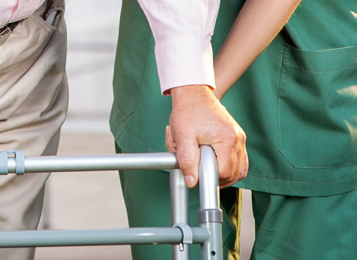 Our home care patients receive the kind of care that gets them independent and moving around whenever possible. Accredited-We Are Home Care is rated 7%-8% higher than the national average for better walking, moving around and getting in and out of bed. Plus, we have a lower rate of unplanned hospitalization compared to the Michigan and national averages. 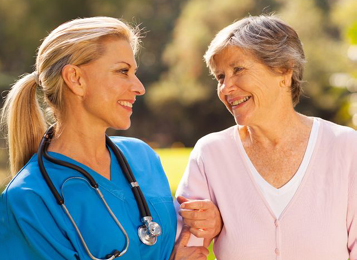 At Accredited-We Are Home Care, our foundational principal is our patient’s care always comes first. We provide this every time due to the experience, talent, continuity of care and compassion every one of our caregivers brings to our patients. Working in partnership with your physician, Accredited-We Are Home Care is a personal home health care company located in southeastern Michigan, serving 16 counties in lower Michigan. Accredited is owned and managed by a licensed physical therapist who has been actively working in home health care for more than 40 years. Our personalized skilled nursing care, physical therapy, speech therapy and occupational therapy is provided by our licensed, experienced staff. All of our professional staff are from your community so you can be assured that your home health care provider is someone from your neighborhood. Accredited - We Are Home Care has a nurse on call 24 hours a day 365 days a year for that extra personal service our clients deserve. We accept all major insurance including Blue Cross and Blue Shield, Workers Compensation, Medicare and Medicare Advantage. Other services Accredited - We Are Home Care provides include personal services like Home Health Aides and Social Workers. With a 93% satisfaction rating from our clients, Accredited is highly recommended by our patients for a reason. To deliver patient centered care with expertise and compassion to promote health, independence and dignity where patients are most comfortable and feel better faster – at home. To set standards in home health care by maintaining the highest level of excellence and ethics in patient care. To provide comprehensive home health services that restore the patient to the maximum level of function & independence, at home. To employ, train and retain innovative, dynamic, compassionate professionals dedicated to patient care. To develop relationships and resources which are beneficial to the community. To consistently exceed the needs and expectations of our patients and families, our employees, and our community.